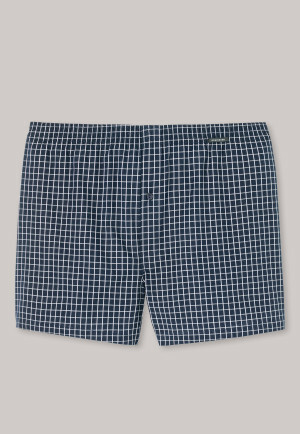 Whether it's solid colors, classic checked patterns, or prints, boxer shorts promise maximum comfort with a casual look any time of day or night. Boxer shorts are first and foremost known for being comfortable. They have a wide cut, which provides plenty of freedom of movement. Thanks to their rubber waistband, they sit firmly on the hip and don't slip. However, it's elastic and flexible, which ensures maximum comfort without any pressure marks. 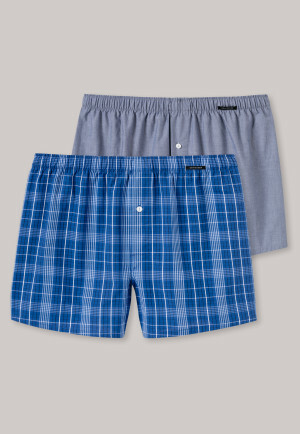 Our boxer shorts are available in solid colors, plaid or in attractive patterns. Some models are also available in a practical 2 or 3 pack. 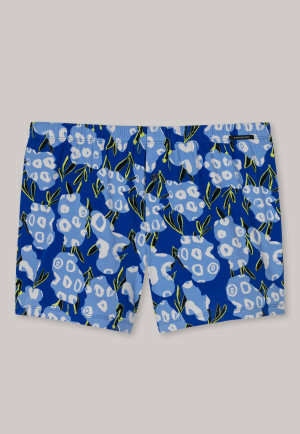 They're mostly made of soft cotton and are therefore very comfortable to wear, regardless of whether you're sitting in the office for hours on end, moving around a lot during the day, or want to do some exercise. 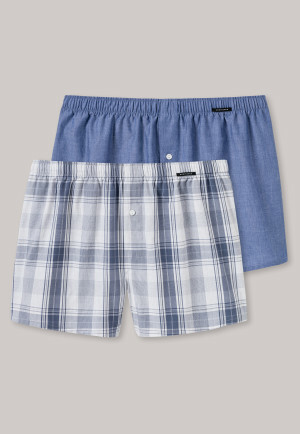 When are boxer shorts suitable companions? 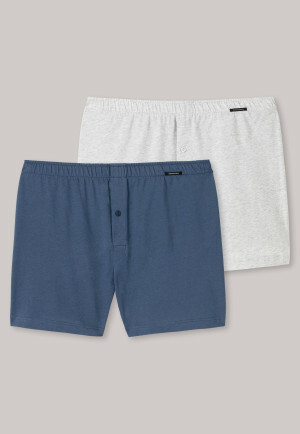 Classic boxer shorts comfortably accompany men throughout their day to day routine. Despite their wide cut, they fit perfectly under casual jeans - for those who like it casual. They reach to about your mid-thigh and keep you warm during cooler days. 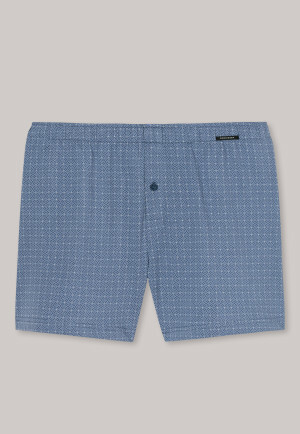 Just as well, you can wear boxer shorts under a suit or other dress pants. In this case you should wear shorter models with shorter pant legs. This prevents the underwear from getting underneath the pants and causing uncomfortable wrinkles. For sports, tight-fitting boxer briefs made of breathable cotton, optimally absorb sweat and ensure that underpants don't unpleasantly stick to the body. 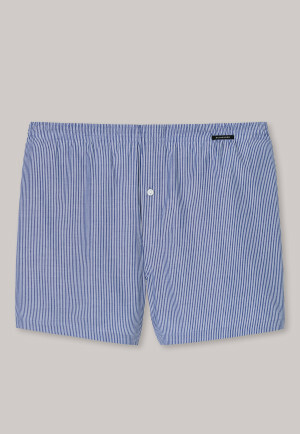 For sleeping, you can simply use boxer shorts as sleepwear. Meanwhile, they're very popular as sleeping pants because of their high comfort. What's the best way to wash boxer shorts? 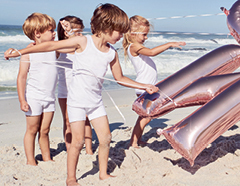 Boxer shorts from SCHIESSER are especially easy to care for. They can be easily cleaned in the washing machine at 40°C or 60°C with a conventional detergent. Just take into account the care symbols on the underwear label. If you're concerned about wrinkles after washing, you can also iron the shorts. 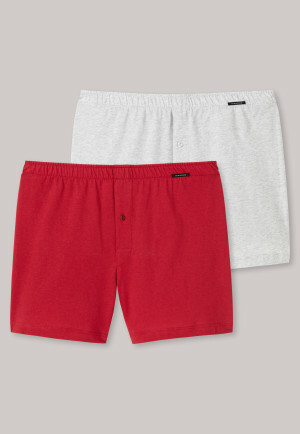 As the name implies, boxer shorts originally come from the sport of boxing. 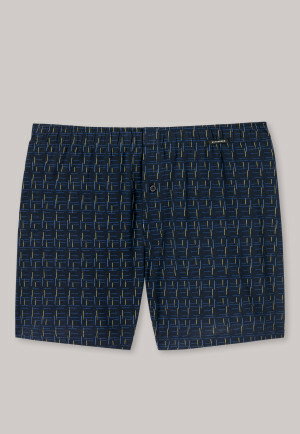 These shorts were designed with a soft elastic waistband with the intention of keeping them safe, even with a lot of movement. The wide legs give you a high degree of freedom of movement. This model has long since found its way into the everyday lives of countless men as an alternative to men's briefs and satisfies with its sporty as well as classic designs and maximum comfort. 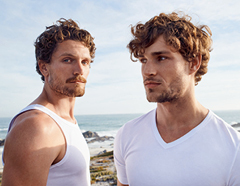 Fashion-conscious men like to combine them with matching men's undershirts or men's shirts.